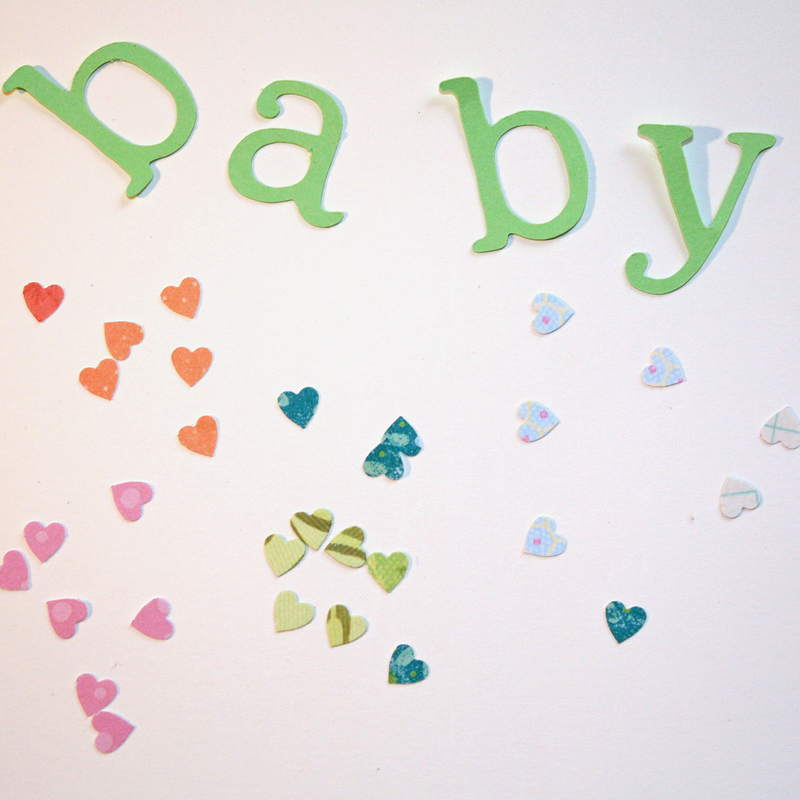 Winter, Spring, Summer and Fall. . .It doesn't matter what time of year it is, babies come. So while CutCardStock is having a sale on all folded invitations (10-15% off for the month of October), I decided to share a little baby shower invitation. I have a friend who is having a baby in a few months and she doesn't know whether it is a boy or a girl. So I thought this would work for either. 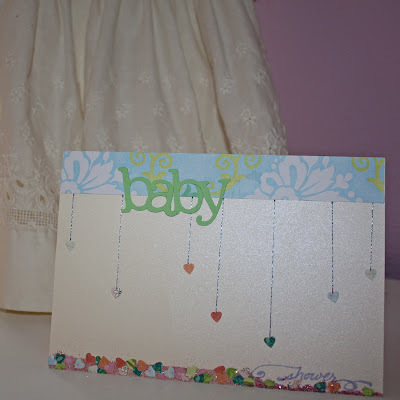 It was so fun to create with just a little bit of hand sewing to complete the impression of rain. Choose an A6 pre-folded invitation (4.5x6.25 folded--6.25x9 flat). Mine is Curious Metallics Poison Ivory. 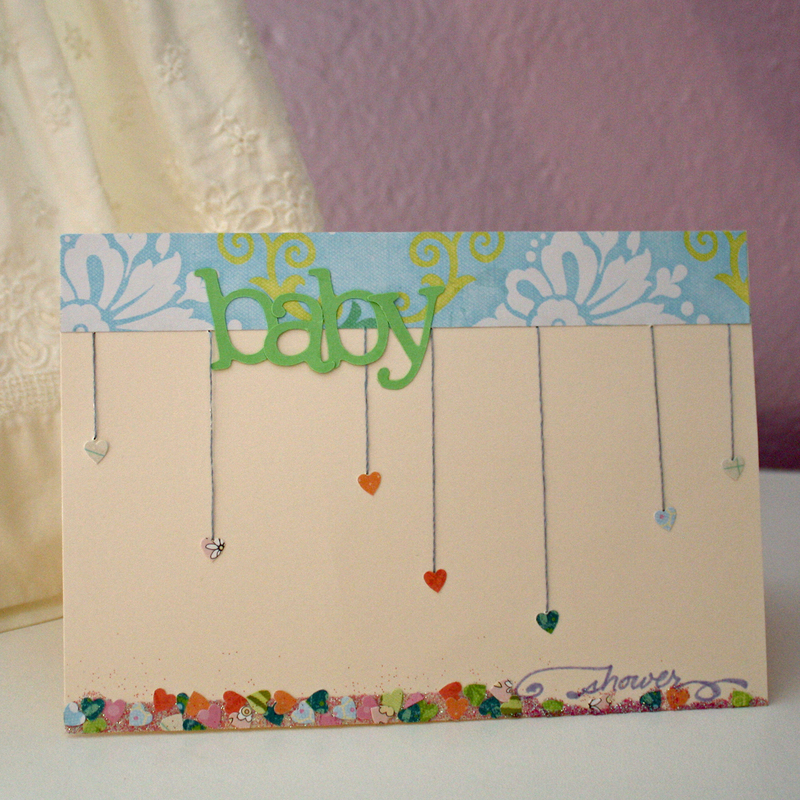 Then grab some scraps of several small-print papers in pastel colors for the tiny hearts. Using Pop Tone Spearmint paper, cut b-a-b-y with Doodletype font on the Cricut. Letters are 1" with no additional embellishments. 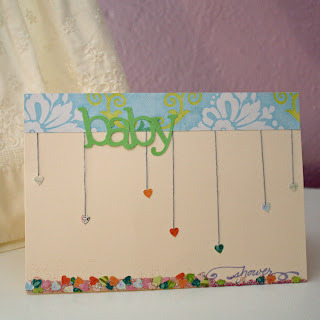 Then punch 5-7 hearts from 6 small-print patterned papers. For this invitation, I wanted to include some handwriting but I needed to make sure my marker was actually a good color. 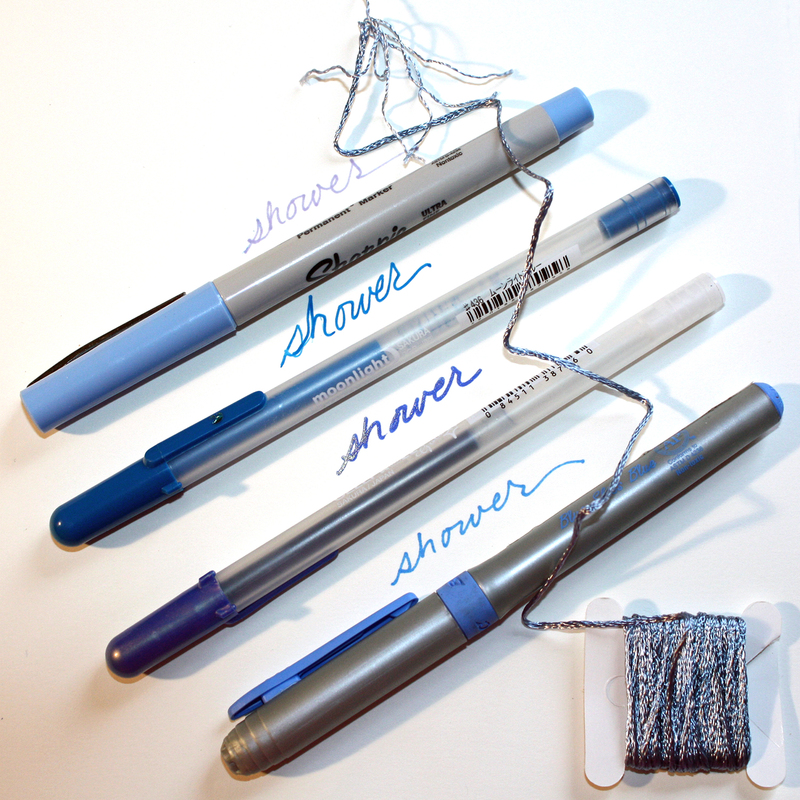 Here you can see how I tested them to see which coordinated with my silk embroidery floss best. I chose the top. You could also stamp or computer print the sentiment. Next, choose a coordinating print paper and trim to 1x6.25". 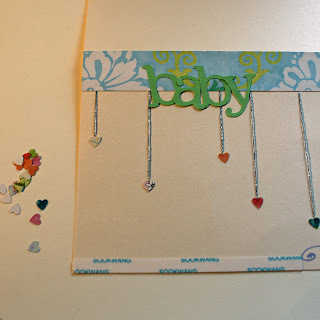 Adhere to the top of the card for a border. 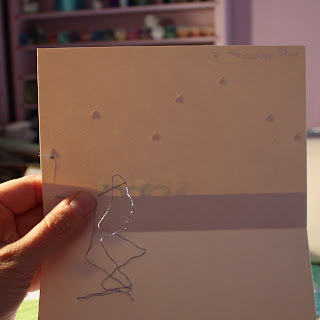 Thread a needle with a single strand from a 6-ply silk embroidery thread. 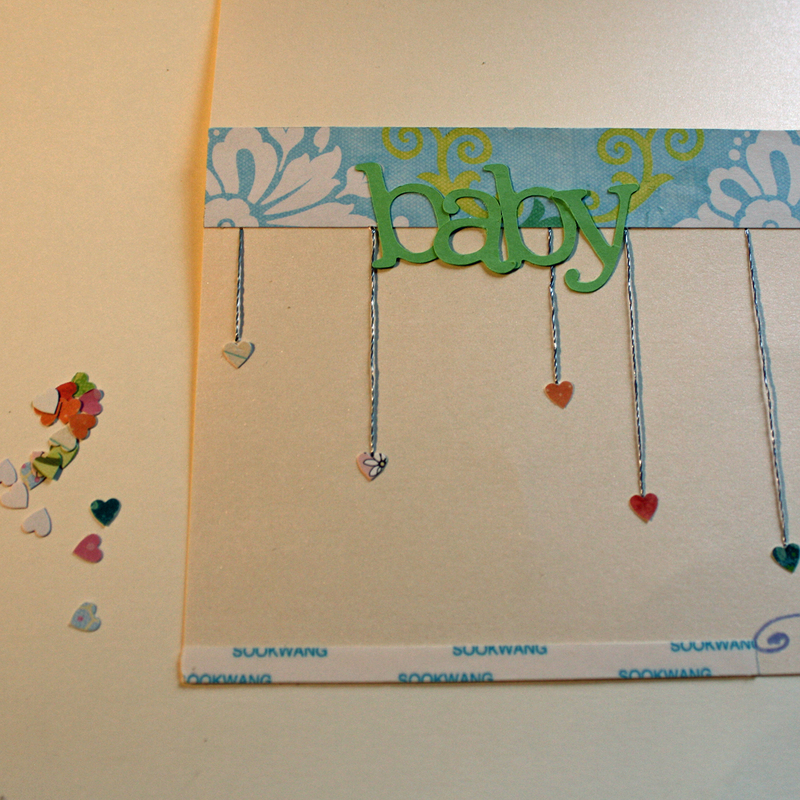 Knot the end and poke the needle through the card from the back, coming up behind one of the hearts. 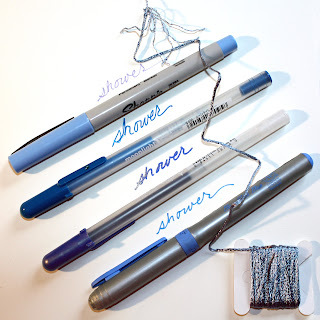 Make a "rain stream" by bringing the needle down near the top border. 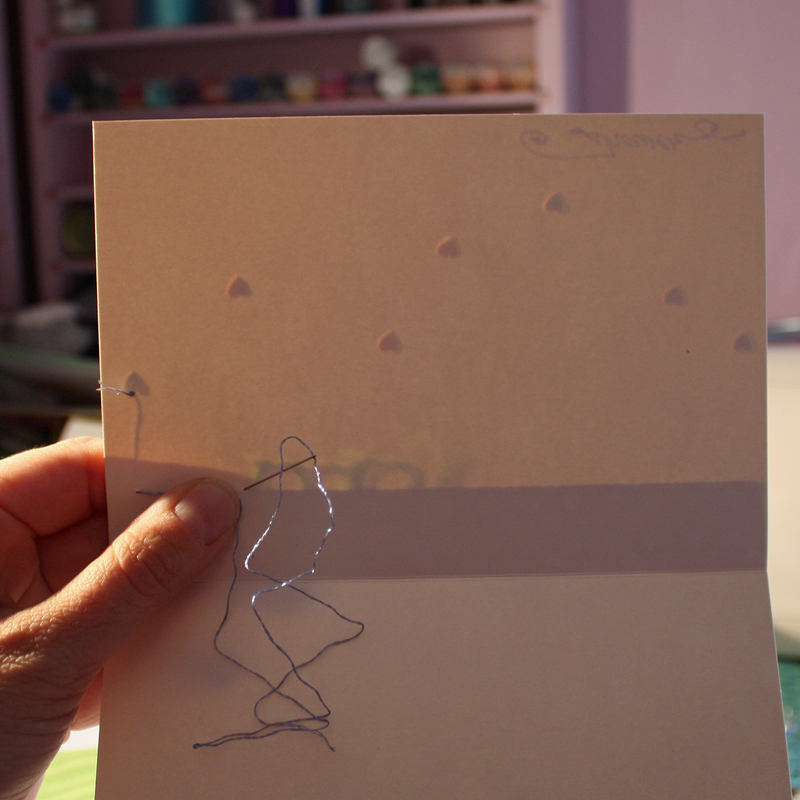 As you can see by the photo below, to line up the next stitch, it is helpful to place the card in front of a light. 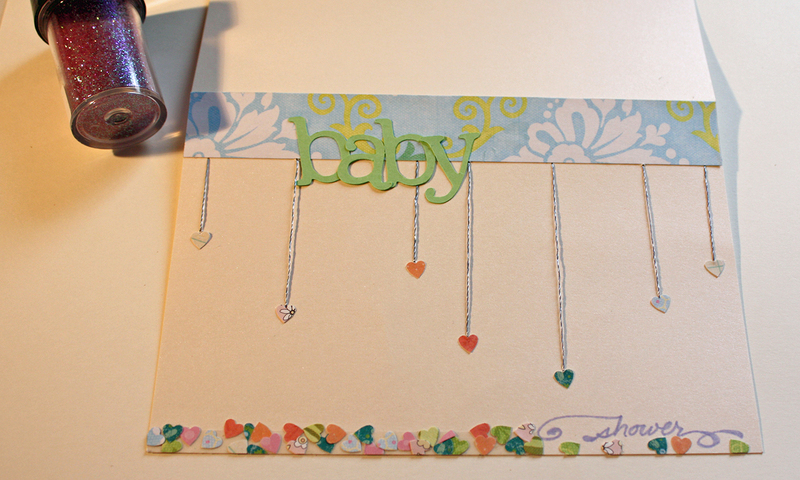 Continue sewing on top of the card for the rain drops and below the card to go from one drop to the other. Finish all the drops. 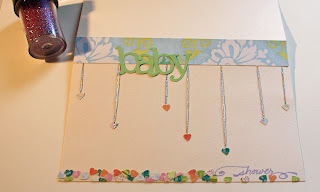 To create the bottom border, add a strip of 1/4" double-sided tape. Add as many heart punches as you can to the strip. 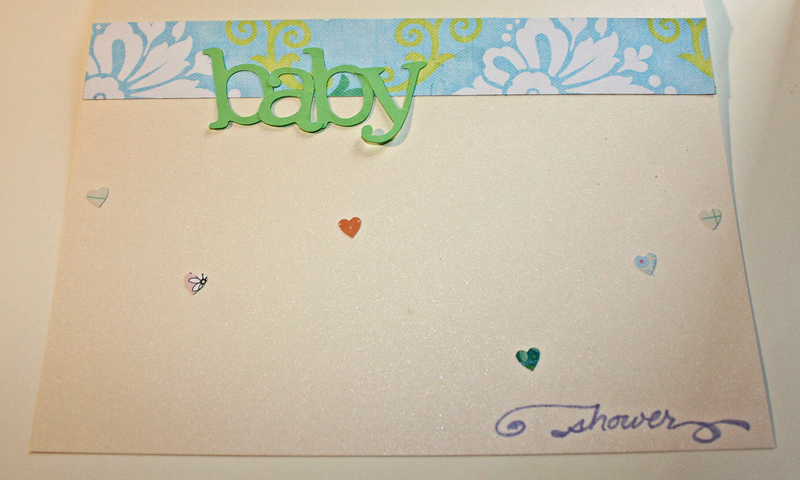 Also add some under the "shower" sentiment with liquid glue. To fill in the places where no hearts lie, add a sprinkling of glitter. Tap off the extra. 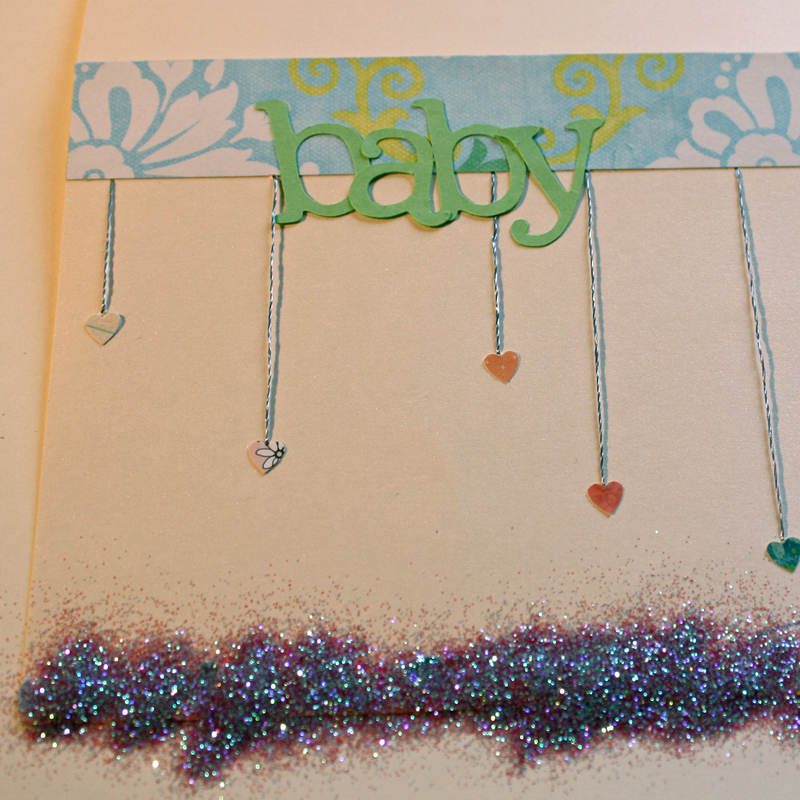 Again, add some glue and glitter under the "shower" sentiment. Now all you have to do is make a few dozen and throw a delightful party. They are super sweet and not difficult to make.